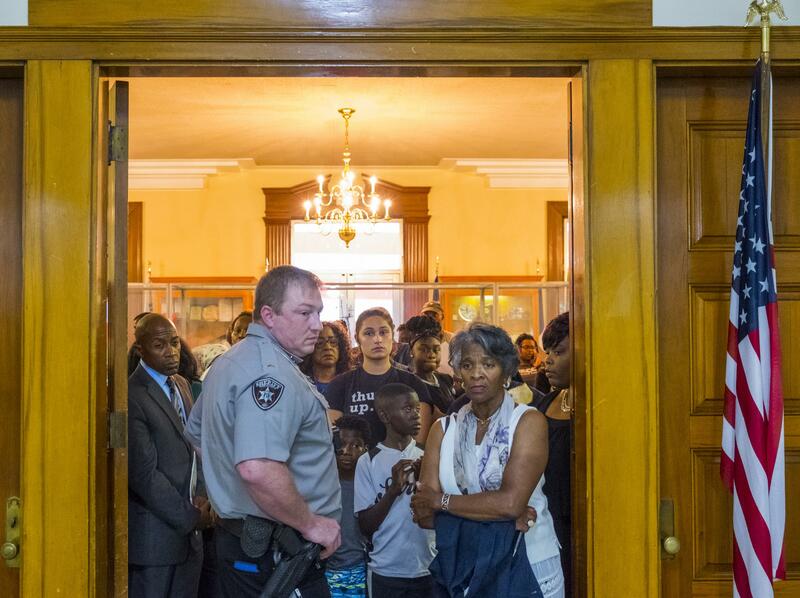 A crowd bigger than the fire marshal would allow packed Macon City Hall for more county budget haggling Tuesday night. On the agenda: turning money back on for libraries, buses and local museums. What's not yet answered is how it will all get paid for. The Macon-Bibb County Commission amended their just passed budget to restore funding to local libraries and other public services Tuesday night. The first budget that passed last week just under the wire of the new fiscal year had zeroed out library funding, money for public transit as well as for the local health department, museums and other "external" services. A hue and cry ensued. When the county commission reconvened on Tuesday, they wasted little time agreeing to restore the funding, even paying an extra quarter million dollars to the Macon Transit Authority which it turned out the county owed them. While most of the dozens of people who took advantage of the public comment period of the commission used the time to vent their rage, others, like 69 year old retiree Tom Hardy were worried about the probable hike to property taxes following the restoration of services. "I can’t go to social security and say the county’s going up on my taxes, I need more money," Hardy said. The $400,000 in money for indigent care which had been set aside for Macon's largest hospital and largest employer, Navicent Health, remained cut from the budget. The Macon-Bibb County Commission gave itself a deadline of August 31 to figure out how to pay for their amended budget, whether through higher property taxes or cuts to county employment. Should they blow their own deadline, all the budget negotiations will start again.